A new shovel, in development for more than a half-decade, is hailed as the largest in the world and described by Komatsu as an evolutionary successor to the smaller 4100XPC. It will load ultra-class haulers in three passes. It will outperform the competition, including predecessor competition, in several metrics, according to Patrick Singleton, product director, shovels, Komatsu. 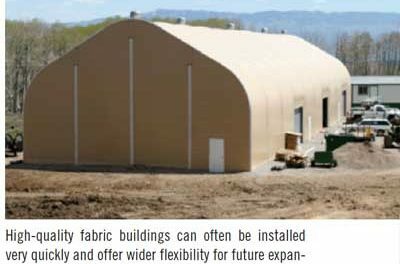 What Approach is Best for Work-site Buildings—Concrete, Steel or Fabric?